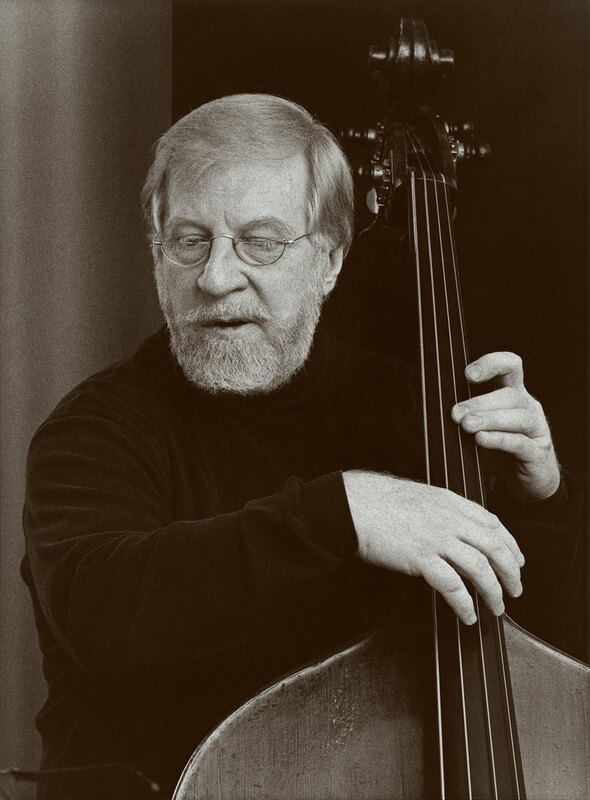 A talented bassist who was always in great demand, Red Mitchell was originally a pianist and he doubled on piano on an occasional basis throughout his career. He switched to bass when he was a member of an Army band in Germany. Mitchell played with Jackie Paris (1947-48), Mundell Lowe, Chubby Jackson's big band and Charlie Ventura (1949), toured with Woody Herman's Orchestra (1949-51) and was a member of the popular Red Norvo Trio (1952-54). He played with the Gerry Mulligan Quartet (1954) and then settled in Los Angeles where during 1954-68 he played with nearly everyone, from West Coast jazz stars (particularly Hampton Hawes) to recording with Ornette Coleman (1959) and being a member of the studio orchestra of MGM. He also co-led a quintet with Harold Land during 1961-62 that recorded for Atlantic.